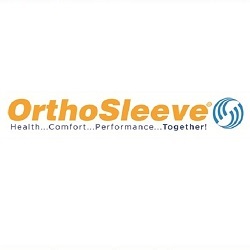 Orthosleeve products provide a wearable, lightweight, comfortable solution for pain and discomfort. The unique compression system employed by Orthosleeve products provides support and increases circulation. Soothes sore muscles, reduces swelling, and aides in the recovery from various injuries or conditions!